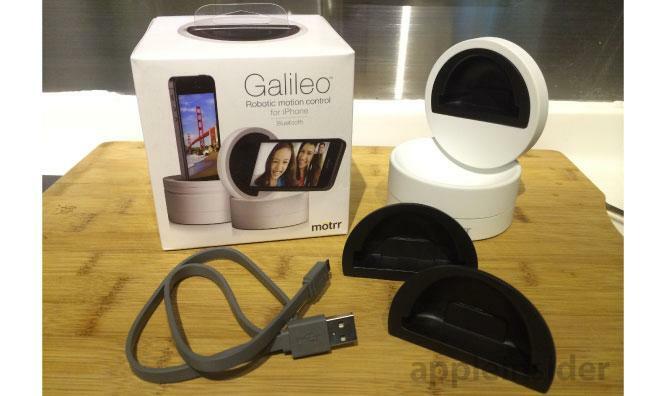 Motrr's Galileo is available with two connectivity options: a Bluetooth model supports Apple's iPhone 4S and above, while a 30-pin dock connector-equipped variant works with all other iPhones save the first generation. Both versions can be had in either black or white; we were supplied with a white Bluetooth model that retails for $149.95. Out of the box, the Galileo feels solid and well-constructed, crafted from a high-grade plastic with a texture reminiscent of that found on the top of Apple's Airport Express and Apple TV devices. A compact three-inch-by-two-inch cylinder, the Galileo takes up just slightly more in-bag space than a baseball. The dock is hefty, but not heavy, in the same way as Apple's iPhone 4 series. We carried the Galileo with us everywhere we went for a week— aside from day-to-day errands, it made trips in a backpack while hiking Hong Kong's Victoria Peak and in a messenger bag while roaming Macau's hilly streets— and we barely noticed the added weight. The Galileo can move an iPhone along multiple axes simultaneously by making use of two, independently controlled parts. A fixed base is used for circular rotation around the Z axis, while the iPhone itself is affixed to a moveable cradle that can be turned to hold the handset in landscape mode and spun around the Y axis. We never felt like our iPhone was going to fall out of the cradle when shooting in landscape, though we were never completely comfortable with its safety, either. The cradle locks into place with a satisfying "click," but the handset itself sits in an interchangeable rubber adapter —we would feel better if the adapter included some kind of strap, rather than relying on friction to keep the iPhone in place. Motrr thoughtfully included a standard 1/4" tripod mount on the Galileo's underside, though a rubber "foot" running the circumference of the device keeps it stable on most flat surfaces. The bottom also houses a charge indicator for the Galileo's built-in 1,000 mAh battery, which can be topped off using an included micro-USB cable. When in use, the Galileo moves smoothly through its motions, though the servos used to drive rotation can be a bit noisy. They aren't loud enough to bother us during normal use, but could pose a problem for anyone attempting to shoot video using the Galileo in otherwise-quiet surroundings. The Galileo's generally excellent hardware is somewhat held back by the selection of software compatible with the device. Motrr provides their own app for tasks like testing the Galileo's servos and updating firmware, but the company relies on the support of a third-party app ecosystem for photographic functionality. At press time, Motrr's app gallery contains ten compatible apps, with three more listed as "coming soon." An excerpt from a panorama captured with the Galileo— the full shot is embedded below. We tried two of the available third-party apps: Spherical, Inc.'s Sphere and Dermandar's DMD Panorama. Sphere is the Galileo's flagship app, and for good reason. The app is very well designed and it produces delightful results, with a few gotchas typical of most spherical photography apps— it doesn't deal well with movement in the frame, for instance, resulting in many instances of ghosting when shooting in a busy place. 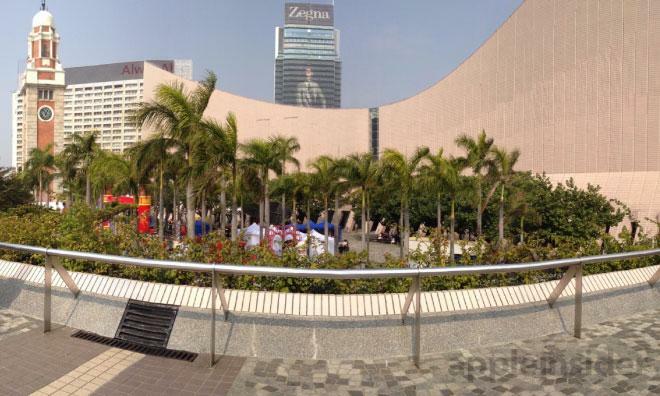 After shooting, your sphere is saved to the camera roll as a panorama and uploaded to Sphere's online storage locker. From there, they can be embedded in a website or viewed and managed within the app. We occasionally ran into a problem where the Galileo would stop moving partway through the shot. The only way we were able to successfully complete a shot after one of these incidents was to force-quit the app and start the process over again, which while not time consuming— a single shot takes around 30 seconds— is nonetheless frustrating. DMD Panorama does exactly what it says on the tin —it takes panoramic photos. Galileo makes the process completely painless, and this is one place where the dock really shines. Using Galileo, capturing a 360-degree panorama takes about ten seconds— we tend to take large numbers of panoramas when traveling, and will really miss the combination of DMD Panorama and the Galileo on our next trip. Like Sphere, Dermandar provides an online repository that can be used to share or embed the shots. 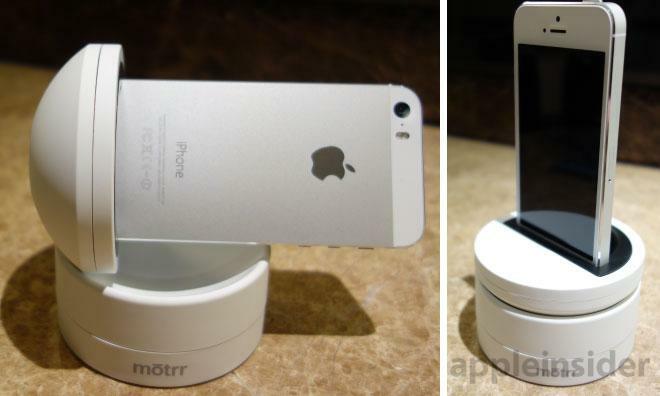 Motrr has done a phenomenal job with the Galileo, and we think the device is well worth its $150 sticker ($130 for the 30-pin edition) for iPhone photographers. The hardware is solid and feels very Apple-like, despite our qualms about the included handset adapters. The Galileo's software cupboard is a bit bare, but more apps are being added every day and we believe it will continue to grow over time as more developers discover the Galileo's capabilities. One item that made our personal wish list is a camera app that takes advantage of the Galileo to allow for remote shot composition and timing, similar to the monitor and shutter control devices available for DSLR cameras. The Motrr Galileo Bluetooth version retails for $149.95, while the dock connector-equipped variant fetches $129.95.